Rising Aussie star and Battle of the Paddle podium getter Lincoln Dews has officially signed up to the SUP ATX/Lahui Kai race team. 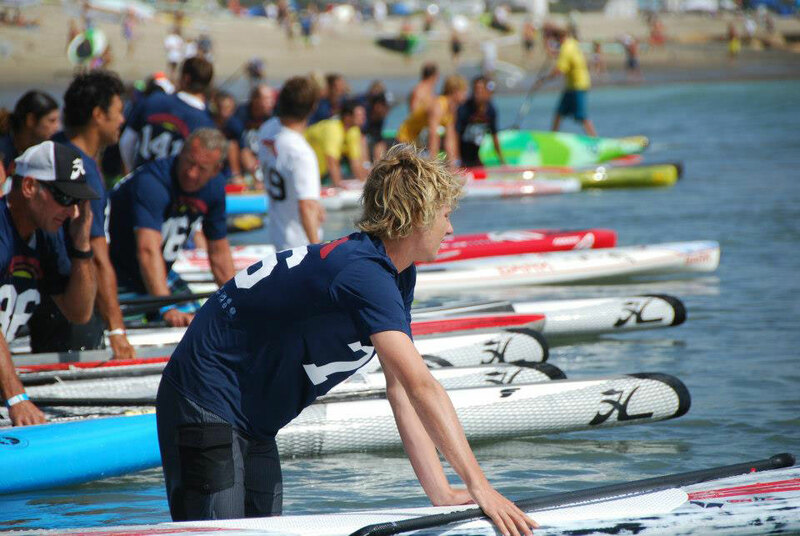 The 17-year-old from Queensland’s Sunshine Coast, who has been on an absolute tear so far in 2013, joins the new race team that’s being managed by Kelly Margetts (himself one of the world’s best SUP racers). Lincoln recently switched over to SUP ATX / Lahui Kai (he’d previously been with Starboard) and as a first assignment will be heading over to Florida next month for the Paddle For Humanity @ Deerfield Beach, along with team mate Jayden Jensen. The new race team is rounded out by Gold Coast dark horses John Locke and Sondra Purser. I’ve raced against Lincoln a few times back home in Aus and can say from first hand experience that he’s an absolute gun. It’s no secret that Queensland is a breeding ground for SUP talent and Lincoln is the latest in a long line of elite international paddlers. The new SUP ATX / Lahui Kai Race Team (Lahui Kai created the race board designs, while SUP ATX is their international distribution partner) is being coached by former Molokai champ Mick DiBetta and managed by one of the world’s fastest Stand Up Paddlers in Kelly Margetts. “Lincoln is the most underrated paddler out there. With the combination of Supatx and Lahui Kai building a race team under the coaching and guidance of Mick Dibetta there are exciting times ahead!” says Margetts. Lincoln’s been on fire this year, taking a top three spot in both The Doctor and the 12 Towers races, finishing behind only World Champ Travis Grant and Aussie Champ Beau O’Brian in each of those events. 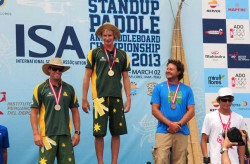 Oh and he also grabbed a prone paddleboarding Gold and Silver medal at the ISA Worlds in Peru, just for good measure. However most SUP racing fans around the world would know Lincoln as the young blonde kid who stood on the podium after the 2012 Battle of the Paddle Elite Race, where he overcame a stacked field to claim a very impressive 9th place.